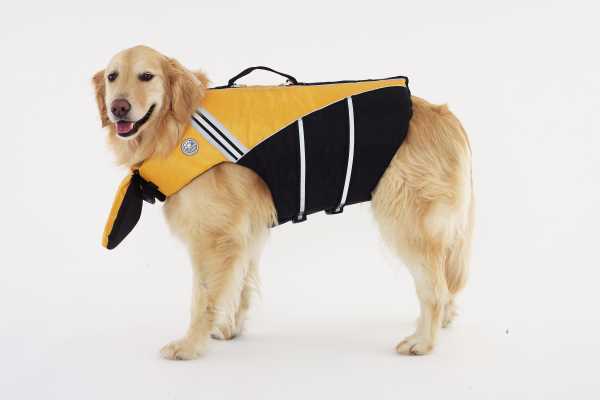 The Dog Life Jacket With Chin Float by Sierra Dog Supply can truly be a life saver. 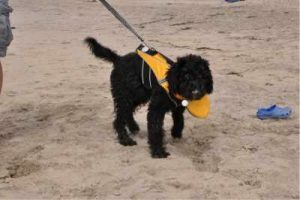 When spending time at a beach, river, or lake shore, keep a life jacket on water-phobic dogs, dogs who don’t swim well, and dogs who swim to the point of exhaustion. For the best protection, make sure that any PFD you buy has flotation material under the dog’s chin, and fastens around and across his chest. The flotation pad under the chin to help keep the dog’s head above water should it become incapacitated.